This white ceiling-mounted cooling fan is powered by a durable motor and produces a strong airflow (up to 1400 rotations per minute ). 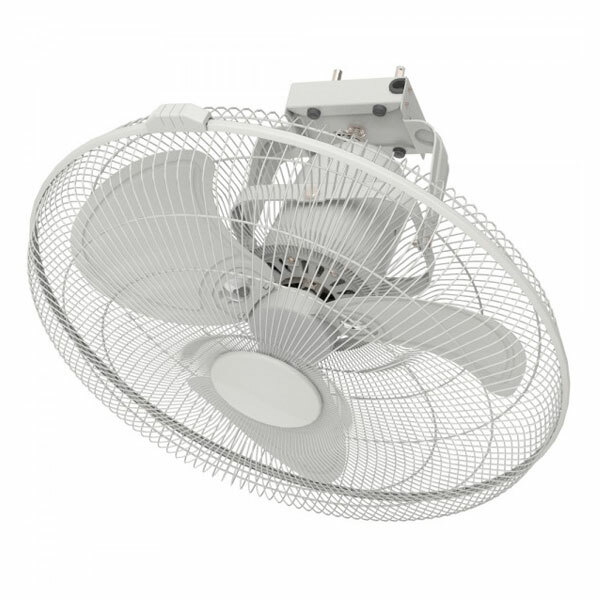 This fan is great for commercial environments and warmer climates and features new anti-vibration blade design. A logo image may be positioned in the central circular part of the cage as pictured. Ventair: Includes a 2 year replacement warranty, please ring 1300 665 926 or see the Ventair website at www.ventair.com.au/warranty for info.